With the holidays around the corner and baby de Sa-Brown on the way, Corey and I have agreed to keep our holidays simple (aka- frugal) this year. Since we both still enjoy wrapping and opening gifts, we've been wrapping and putting things away for months (mostly items we needed to purchase anyway) and, now that we've forgotten about them, we'll save them for the holidays to give to each other! Despite having a bit of a low-key holiday ourselves, I just love browsing and window shopping for great gift ideas online. Here are some of my favourites for 2014. 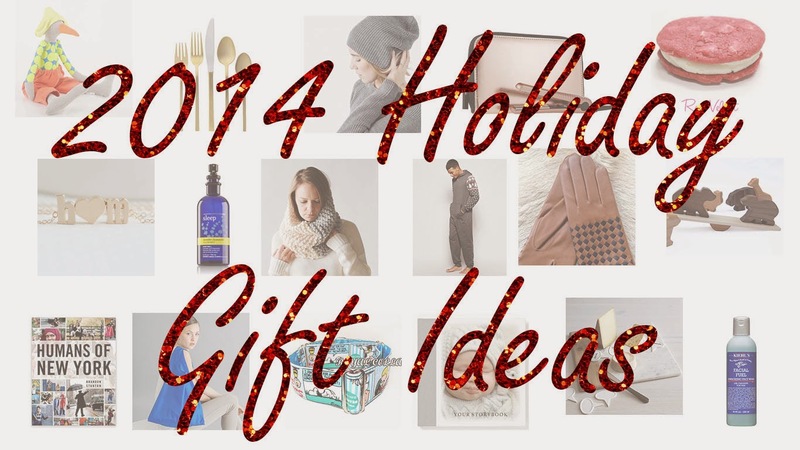 Whether you're splurging or looking for a stocking stuffer, there's something here for everyone on your list! Who doesn't love a warm cuppa on a cold day? 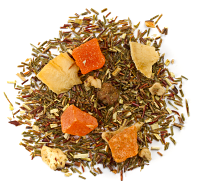 I personally like rooibos teas because they are hydrating and I've been enjoying this green and fruity tea from David's. I actually mix it with some of the (less yummy) teas I've been drinking during my pregnancy and the flavour is strong enough to mask anything bitter. 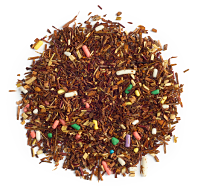 Speaking of David's Teas, I haven't tried it (I prefer fruity to dessert flavoured) but this birthday cake tea looks so festive! While we're on the subject of edibles, I just discovered Short and Sweet Cupcakes, thanks to a friend's recommendation. 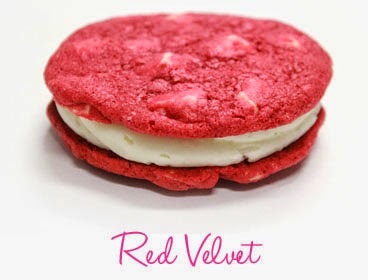 I hear their "sammies" are amazing and they deliver within Toronto! 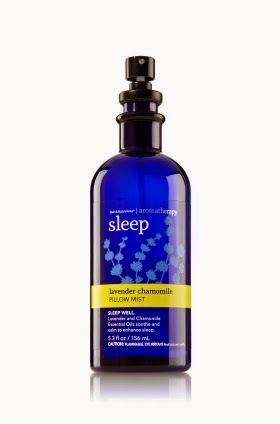 One of my favourite scents to fall asleep to is Lavender and Chamomile from Bath and Body Works. This pillow spray would make anyone's nighttime ritual very luxurious. 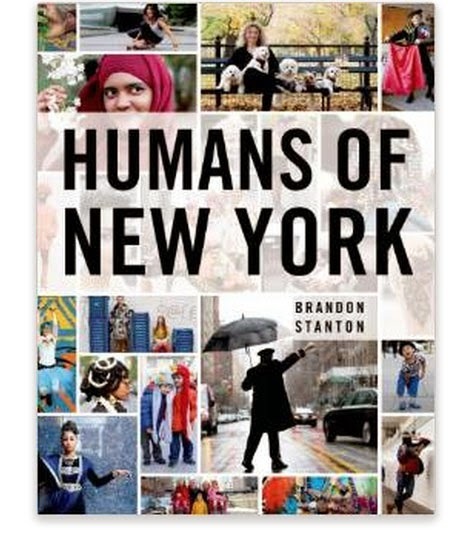 If you're on social media, you're probably no stranger to the fascinating Humans of New York blog. Now there's a hardcover book version! 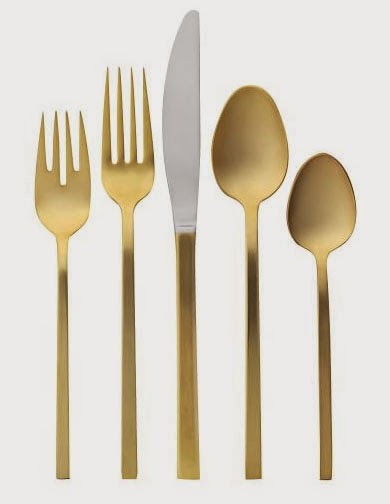 Perfect for the perfect host/hostess in your life, this set of gold flatware from West Elm would look fabulous on a festive table! 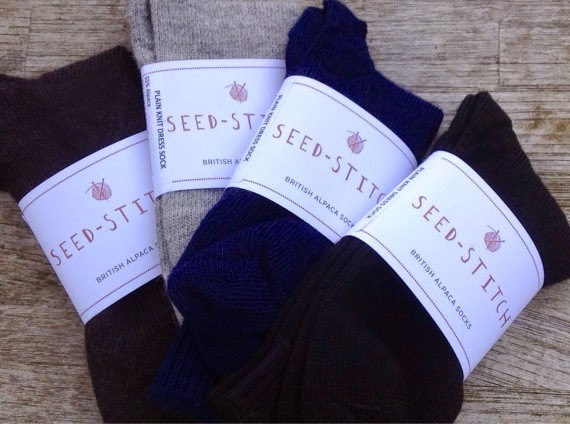 While I seldom wear socks, (I could seriously walk around barefoot all winter.) I might make an exception for some cozy alpaca socks on a cold winter day. 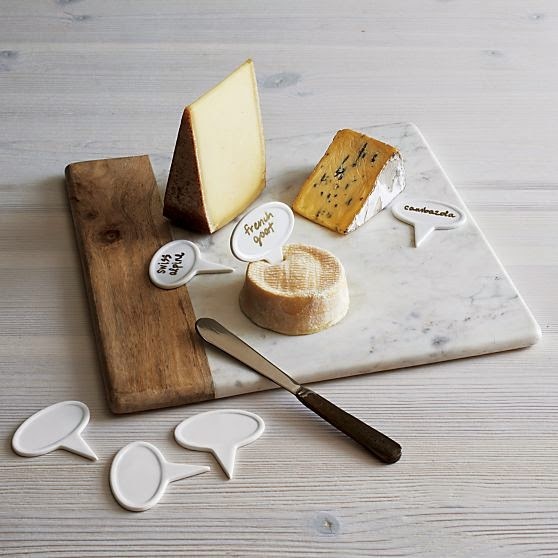 I love this Crate and Barrel wood and marble cheese platter. I had never noticed it until one of my friends (who happens to have amazing taste) registered for it when she was getting married. Wouldn't it also make the perfect backdrop for food photography? 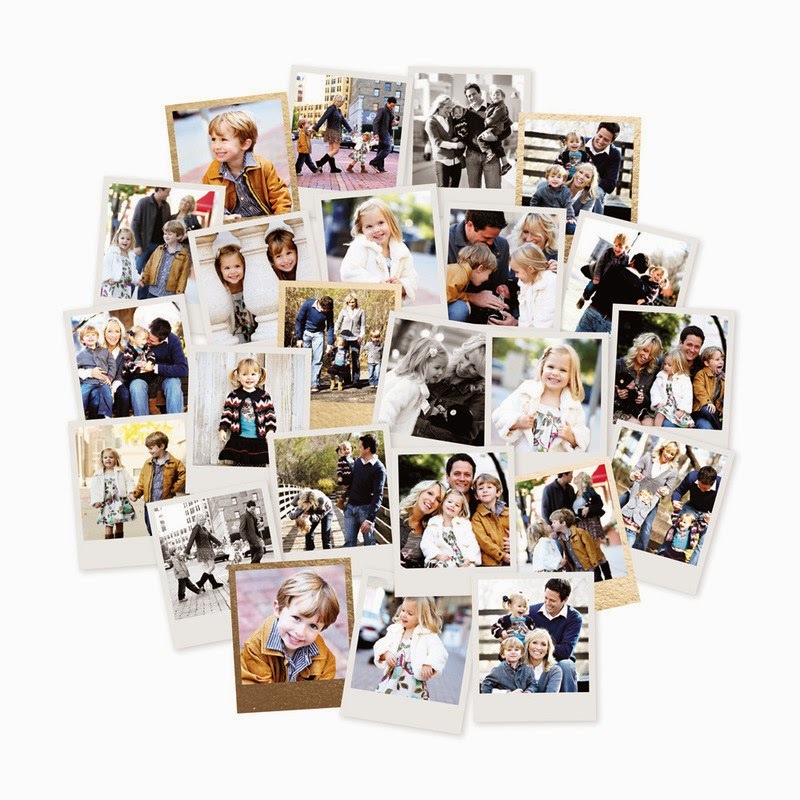 Although I have yet to order from Minted, I adore their personalized photo collages which you can order with or without a frame. I'm sure we'll make one once little Bruiser comes! 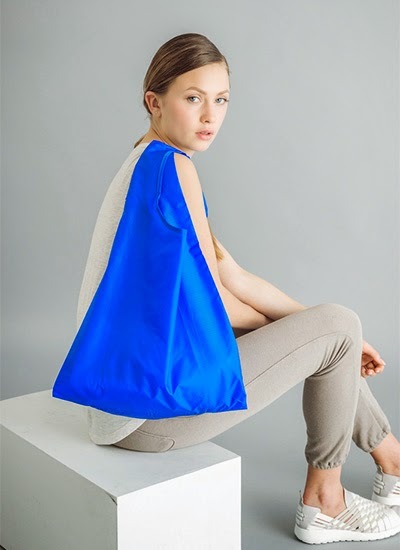 I love these chic reusable bags by Baggu! I would keep one in my purse at all times! 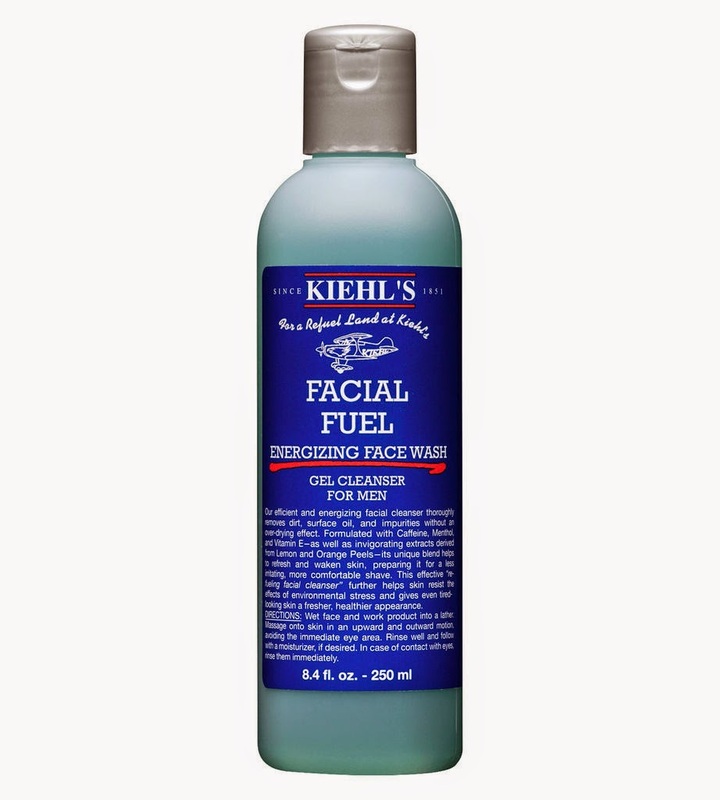 I love Kiehl's products and Corey uses their facial fuel every day. It smells fresh and manly and is super invigorating. I confess to using it to help me wake up some mornings. If you're going to splurge on someone, what could be more cozy and decadent than a cashmere hoodie? 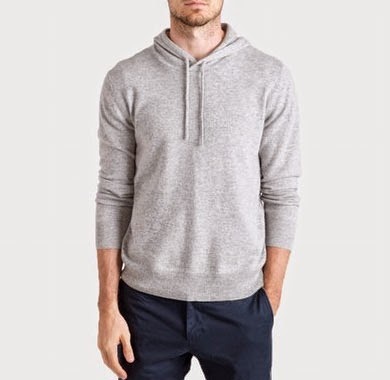 I love the way Everlane clothes fit and I can't think of a guy who wouldn't love this! 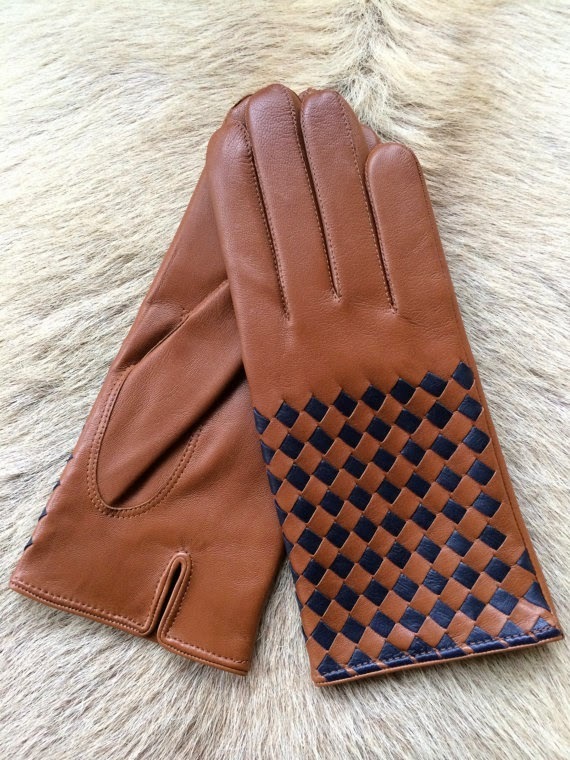 I love the details on these lambskin and silk gloves. Not ideal for the vegan in your life but perfect for a stylish carnivore! Who wouldn't want to curl up in a cozy onesie? Corey would love this! 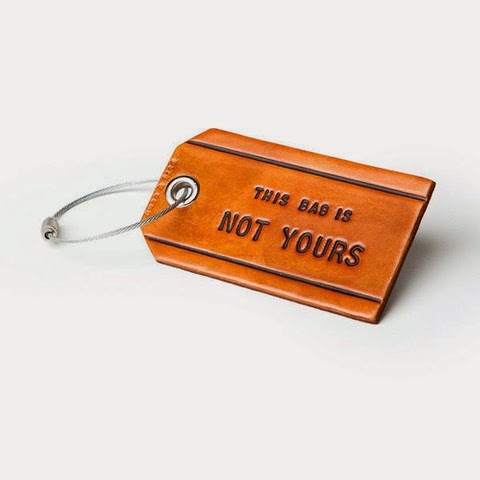 This cheeky baggage tag makes me laugh. 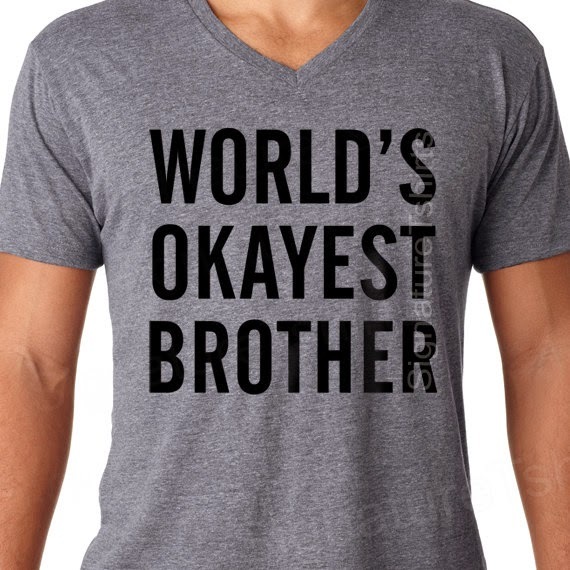 This sarcastic t-shirt would make my brother laugh. 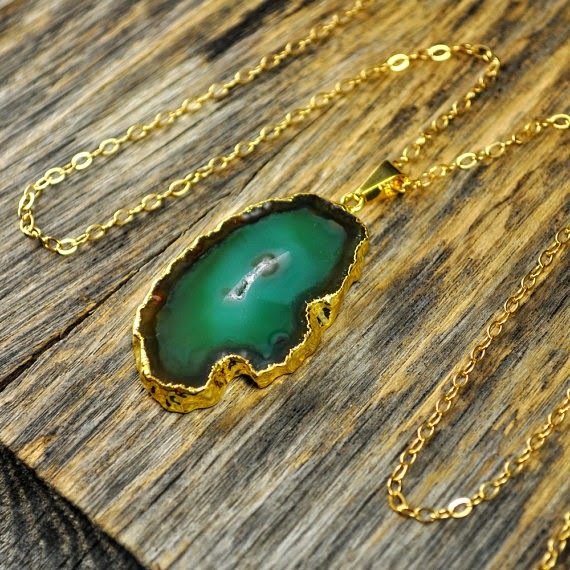 Agate is still in style and I love a beautiful statement necklace! 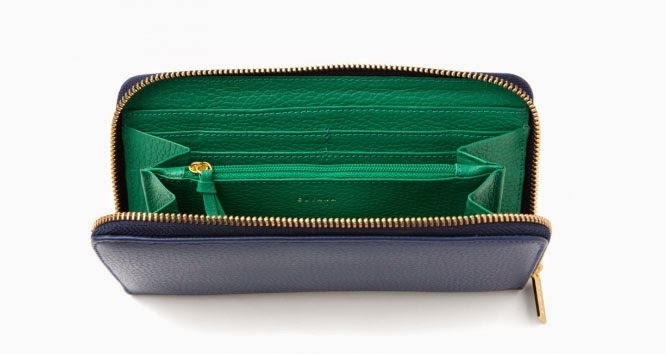 I love drooling over the Argentinian leather goods on the Cuyana website. 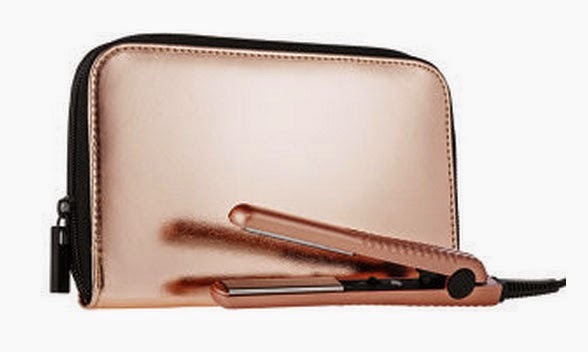 This stunning wallet is one of my favourites. I really like the unexpected colour of the lining. 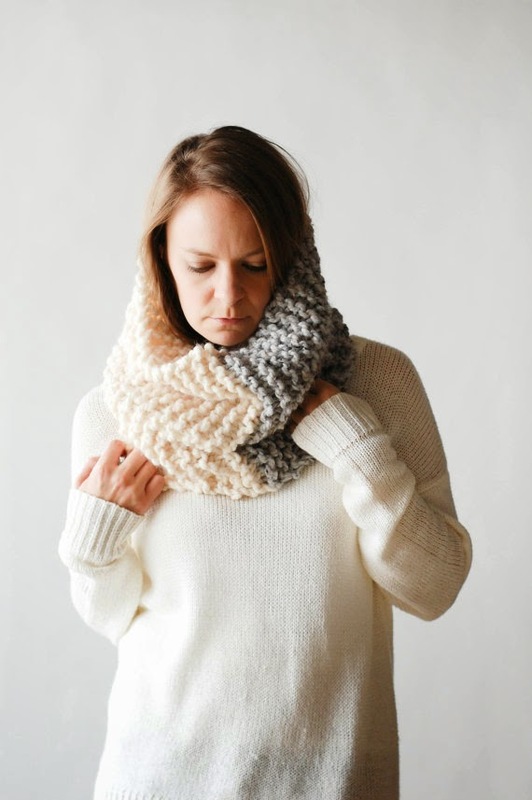 I bought a chunky knit cowl from this shop years ago and it is still one of my fall/winter staples! How sweet and dainty are these initial necklaces? I think they'd make a sweet gift for a significant other or a bff. I love this merino wool toque. 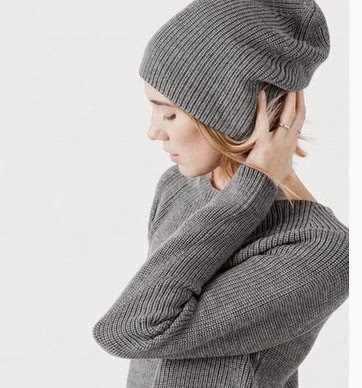 I dislike hats that end at the top of my head at this one seems to have the perfect amount of slouch! 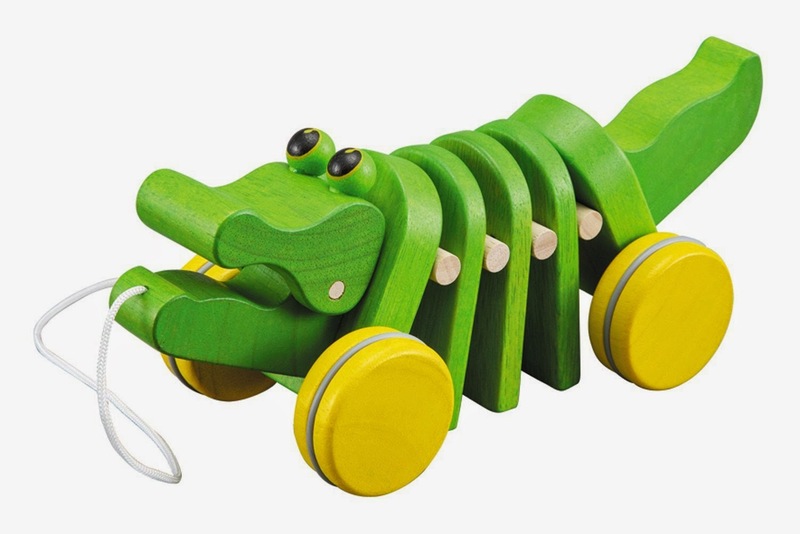 We are big fans of Plan Toys products at our house and for some reason, this weird alligator seems to be loved by kiddies. 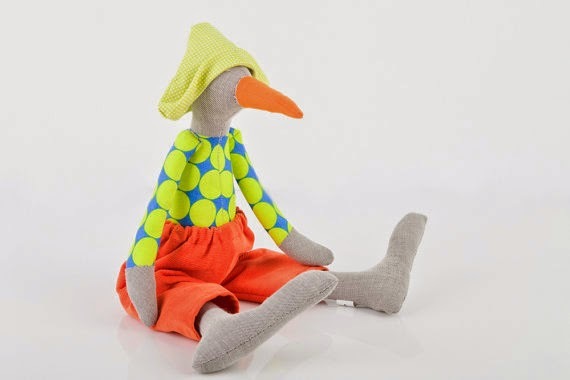 I just love this handmade bird stuffy. You can order one with pretty much any colour combination of clothes to match your nursery! 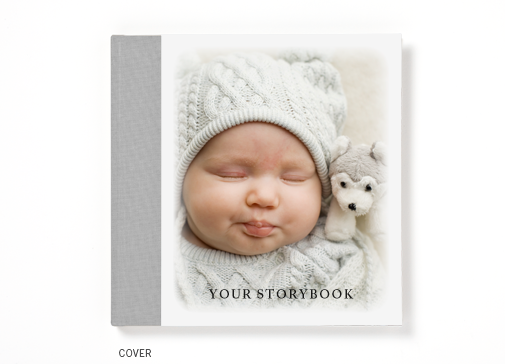 There's something so sweet about creating a baby book on Pinhole Press to help a baby identify photos of all the important people in their little life! 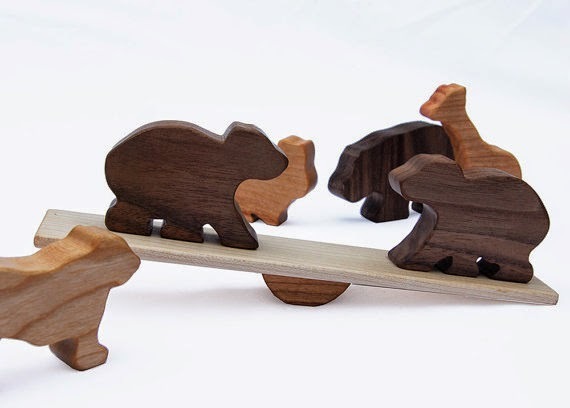 As fans of classic, wooden toys, Corey and I love this elegant balance game. 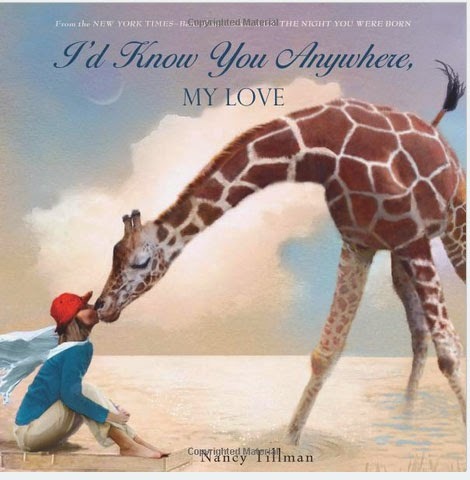 Have you heard of I'd Know You Anywhere, My Love by Nancy Tillman? It's a beautiful book and it delivers a strong message from parent to child of acceptance and unconditional love. I can't read it without crying these days. We never like to forget our four-legged family members. 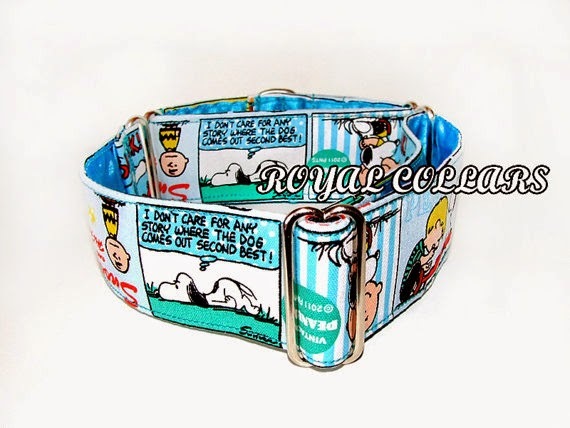 Cheetah has this exact collar and we get compliments all the time. We love martingales because they offer the control of a "choke" collar (which many people with powerful dogs need) but the fabric is soft for the dog and the collar "expands" the moment the pulling stops. It wouldn't be the holidays without an order from Nothing Added. 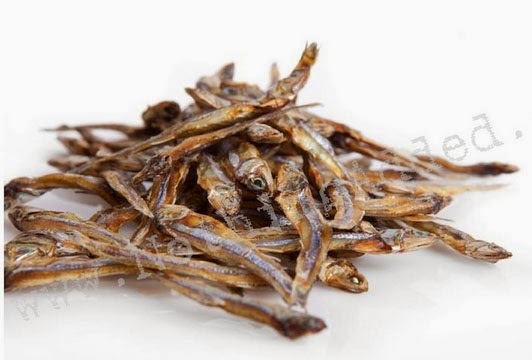 Favourites at hour house (okay, our dogs LOVE everything from this shop) include dehydrated anchovies (which cats also adore) and dehydrated chicken feet! 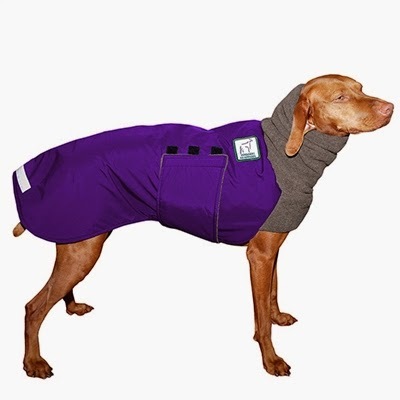 To help our pets brave the cold winters, our favourite shop for breed specific coats (we have winter coats, rain coats and sweaters) is Voyager's K9 Apparel. Cheetah got his first winter coat this year and he's loving the snow so far this winter after moving here from Florida! Well that's my list for 2014. What tops your wishlist?